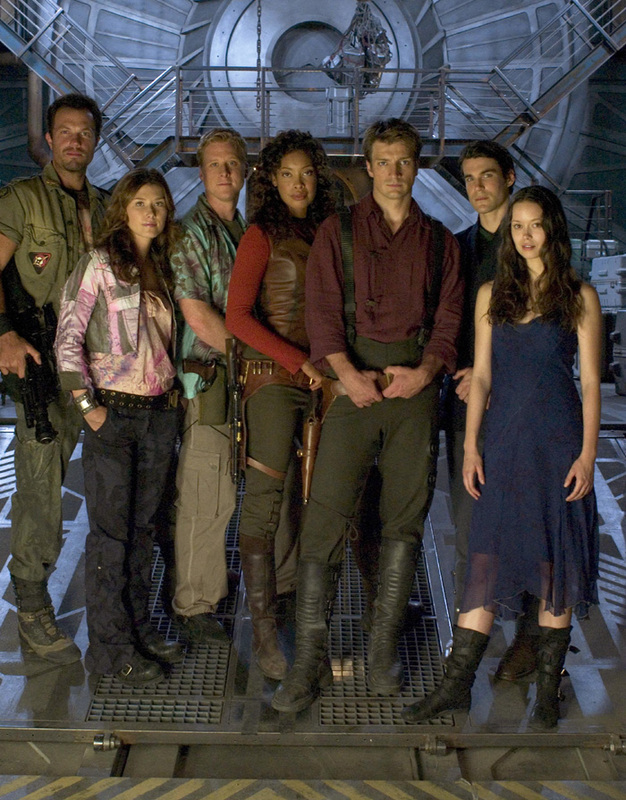 Firefly got so many things right. The show hit the mark on writing, the characters, the sets, the costumes, and the story. To me, it is an example of everything a television show should strive to be. Well, except for that whole canceled part. That’s not a good goal to have. One thing that particularly sticks outs is that Firefly does not underestimate the value of practical footwear. In a world of science fiction stilettos and platforms (like the shoes Seven of Nine wears in Star Trek: Voyager), the females in the ‘verse wear boots or slippers. Zoe wears tall brown leather boots with a flat heel. Kaylee sports comfy shoes that look a little like modified hiking boots. River has combat boots, or she goes barefoot. Even the Companion, the most elegantly dressed of all them, doesn’t glide across the ship in heels. Heels would get stuck on the floor grating. We don’t see Inara’s footwear a lot, but they appear to be sensible slippers or occasionally sandals. Sturdy enough to handle ship life and easy to slip on and off for work. I would think that’s an important consideration. Dealing with laces in that line of work could be bothersome. It seems like a small detail to consider when you're planning out a television series. But I don't think I would have admired Zoe as much if she ran around shooting her rifle in 4" chunky heels. There's a credibility factor. I can suspend disbelief for most things in science fiction, but impractical footwear? That sends me running (cause I'm wearing comfy boots and I can)! All this comes from a person who rarely wears heels. They’re painful, and also – I’m clumsy. Heels end in blisters or embarrassing falls followed by colorful bruises. Even if I were entirely comfortable in them, I couldn’t imagine wearing them if I were say, a doctor on the U.S.S. Enterprise. Sure, the floors are covered in industrial carpet. It’s safe from that perspective. But you never know when the red alert will sound. Platforms do not scream ready-for-action. I’ll take Big Damn Hero boots any day. Note: I exaggerate to make a point. Sensible shoes are also common throughout SG-1, most of Star Trek, Farscape, and many other shows. You should send this to Castle. I cringe every time I see Beckett mincing along with her gun out. I can't stand heels either. Way too awkward to walk in them (plus, it hurts after a while), and I can't walk at all in stilettos. Flats are the way to go. I rarely think about footwear but Logan makes a point that came to me recently - I call bs on Beckett chasing people in the heels they have her wear on Castle!! What I don't understand with Sci-Fi is why they don't use all this cool technology to make a transforming shoe? Some of us love our high heels. At 5'11" and after playing soccer/running cross country for my entire youth, I can wear 6 inch heels all day in complete comfort and run in 5 inch heels moderately well. 4 inch heels are are so easy they may as well be flats. BUT if I want to make quick lateral moves such as in a fight, i'd want flats... and thats where the transforming shoes should come in. Its sci-fi, why not? Poor Jeri Ryan, she had to put up with uber tight catsuits that made her faint and those heels (see the link above) but this author hit the nail on the head. Sci fi shouldn't force women to totter in ridiculous high heals. I'm so glad to see other people comment on Beckett's boots!! It kills me to see her chasing criminals around the streets of NYC in those. Celeste - You have the perfect idea! If Sci-Fi has replicators, they should have shoes that transform to fit the situation. You could make them different colors and styles. Quick, submit that to ... someone! As far as the Beckett shoes comment, that's absolutely true, nevermind that she looks awkward as hell in them.